I was born and raised in the guts of the American South. 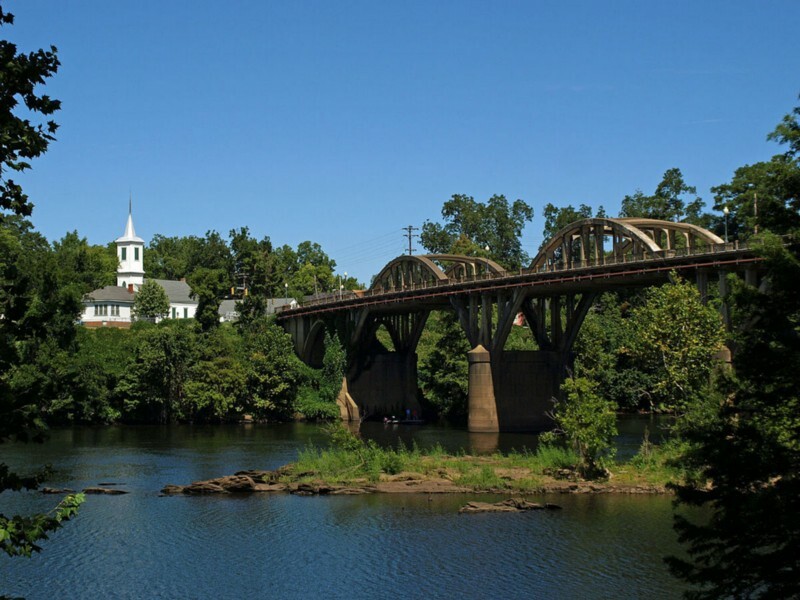 Wetumpka, Alabama is a beautiful town, with the Coosa River running through it. My childhood home sits on the edge of Alabama’s black belt, a region named for its rich, dark soil and later, for the skin color of the majority of its inhabitants. The stretch of soil between Montgomery and Selma has been cultivated with centuries of pain. My grandparents lived in Montgomery, Alabama. I adored my Granny. She was a bubbly, silly, loving woman with a big squishy lap and a back porch swing. I spent many childhood days with Granny and Papaw in their Montgomery home. I remember her recount of the chaos that was downtown Montgomery during the bus boycott. I wish I had heard stories of how my grandparents showed up to help the cause, but I didn’t. Instead, I heard stories of how inconvenient it was. I heard stories of how she was scared working downtown and couldn’t understand why people had to make such a “big fuss” about it. My Granny was not a mean or heartless woman. Would I describe my Granny as racist? That’s a challenging question. I’d say the number of white people in the 50’s, in the black belt of Alabama, that weren’t overtly racist, was probably very minimal. Did she choose to be consciously and openly against black people? I’ll never really know. Did she inherit a belief system from her ancestors that caused prejudice and discrimination? Absolutely. In our culture, all white people do. We all inherit layers of bias from good people who love us. We don’t even know it’s happening. When you have white skin, those layers of bias join in with the power and privilege of the cultural majority. It’s important to realize that racism and bias are very different. Sometimes they get mixed up. It’s a lot to sort out. It’s the cultural power that keeps white supremacy in place, not the actions of a few overt racists. How do we teach our kids to be humble and show up well in the middle of race conversations, if we haven’t figured out how to do it ourselves? We white people (myself included) need to get inside our own history, see how it’s impacted our heads, hearts, and guts. We need to explore the layers of bias we still have. We need to understand that sometimes we choose behaviors that aren’t helpful, or even worse, harmful to people of color. Sometimes, we are unknowingly just protecting our own pain. I believe we all have hidden shame and guilt that we don’t even know we have. It’s hard to shake off bias. You have to dig around for it. Accept it, forgive yourself, and learn more about it. My Dad was a student at Robert E. Lee High School, in Montgomery, in the 60’s. I’ve had conversations with him about that time. They’re short conversations, but they’re heartfelt. He’s a strong, southern man. (If you’re southern, you understand the conversations with this type are always short! Bless his heart. I love him.) He has expressed regret and remorse for his own inherited beliefs. He remembers using the white restrooms as a 10 year old in Demopolis, Alabama, traveling between Montgomery and Meridian, Mississippi, to visit family. He’s told me how this didn’t make sense to him as a child, but he accepted it because that was just the way it was. My Dad is still sorting this out in his 70’s. I find it very endearing when he reminds me that his church now has members who aren’t white. That was not my childhood experience at all. If my big, strong, southern, conservative christian Dad can wrestle with this, anyone can. It’s not too late. The reconciliation of our inherited self with our current, chosen self is deep identity work. I believe it’s spiritual work. If God calls us all to “Love one another,” it means real love, and it means everyone. God of courage, help me be humble and honest with myself. I did not earn the privilege of my skin. I did not earn that unseen blanket of support. I know I am called to love, and I am sorry that I haven’t spoken up sooner. I know that inequality will not disappear in silence. I will be awkward. I will need grace and forgiveness. I will not let my discomfort stop me. God of love and compassion, help me use my privilege in meaningful ways. Help me show up anyway, even in the midst of my ignorance, fear, anger, sadness, and anxious hesitation. Help me use my one voice, even when it seems lost in a choir of opposition. Help me love those who appear unloving. Help me connect with those who push others away. Help me remember that the courage I spend now is tiny, compared to the courage that those with darker skin have had to spend for centuries. There is no liberty and justice for all, until there is liberty and justice for all. There is no peace for me, until there is peace for all humanity. © 2019 . Well and Willing Coaching Collaborative . Memphis, TN .